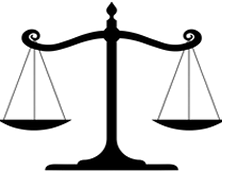 Our misson is to re balance the scales in favour of our clients, and to return to them the benefits they are due. We are a not for profit, welfare rights and social advocacy service for vulnerable, disabled people. We are based in Cornwall, but have represented disabled clients all over the UK. Our speciality is working with clients who have "invisible" illnesses such as Depression, ME, Fibromyalgia, Hyper Mobility, and Chronic Pain. We have defeated the DWP in 96% of cases. Benefits Resolutions has a lifetime of personal and professional experience behind it. Our team includes disabled people, and those who have been full time carers. Our advocate, Tony Lea, was trained by the Citizen's Advice Bureau, and he has represented scores of clients in court. Tony Lea has fought for disabled people across the UK. he has also appeared on national television and at Parliament to help those in his care.